A wall cabinet hinge that lifts the door upwards while keeping it in a vertical position. 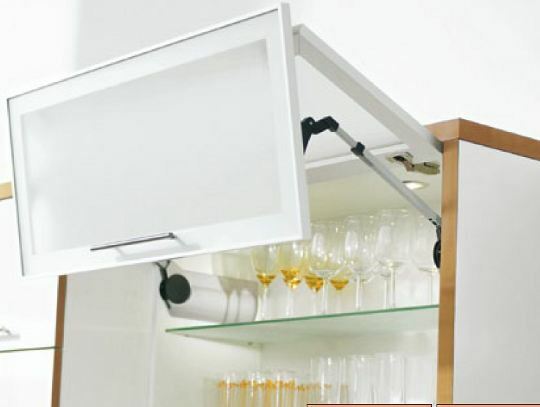 A wall cabinet hinge system that uses bi-folding doors, rotating upwards on an horizontal axis to open the cabinet. A wall cabinet hinge that rotates the door upwards on an horizontal axis supported by stays. In cabinet doors a small piston that opens a door when a slight pressure is put on the door. 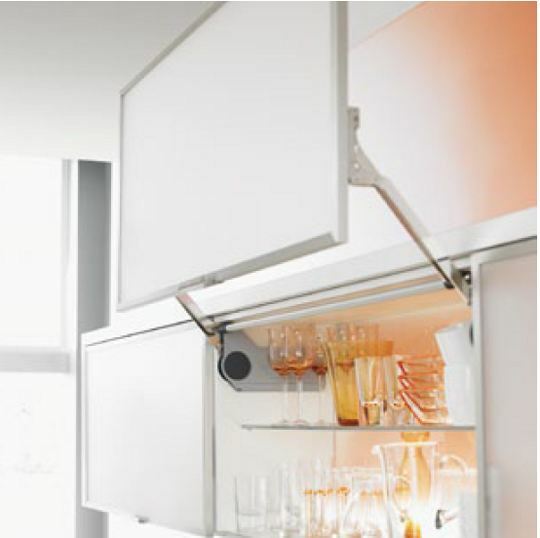 What we are looking at here are hinges that open and lift the doors of wall cabinets verically. They are not to be confused with lift off hinges which allow doors to be lifted off the frames and moved elsewhere. 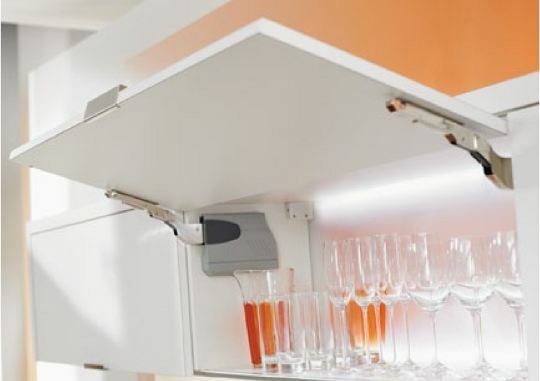 A problem with conventional wall cabinets that hve ordinary swinging out wards doors is that because people are all different heights there is not one height to fix them that is suitable for all. So we get a case where a short person may be ablle to search through a few cabinets and walk under all the open doors where a taller person risks banging his head on the doors. A way to solve the problem is to have the doors lift up and out of the way as seen in the above photograph.